Sustainable development is now becoming a matter that must be addressed at both strategic and operational level, whether driven by legislation, the ′greening of the marketplace′, supply chain requirements, or the pressure of events associated with climate change. 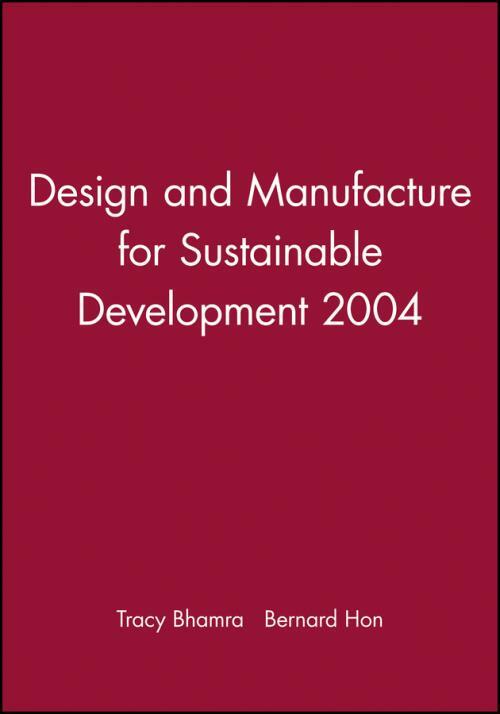 Design and Manufacture for Sustainable Development 2004 is an international volume including papers by distinguished authors for academia and industry. These international papers encompass the holistic study and interchange of ideas on the theory, practice, tools, and methodology for the entire product life cycle within the framework of sustainable development.